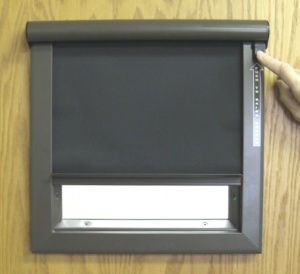 Check out Air Louvers' Privacy Screen for door windows. This is a great way to add privacy to existing vision lites. It is an attractive and cost effective option that can easily be retrofitted to most manufacturers vision lites. Please contact your sales consultant at Robert I. Merrill Company for more information.